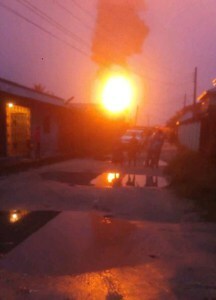 As Nigerians celebrate their years of slavery and poverty, news filtering into our news room has it that there has been another explosion in Niger Cat, Ekpan in Warri, Delta state. 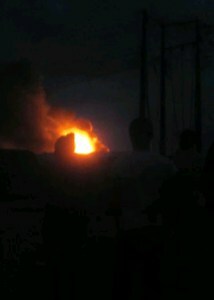 According to eyewitness account," the explosion happened late last night and is still burning till now. 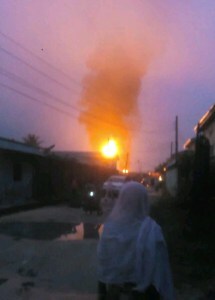 The location where the blast occured is where tankers usually queue up in wait to receive crude product from the warri refinery. 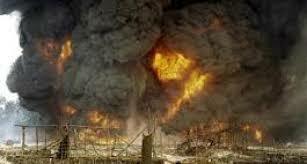 The fire is still spreading and effort is being made to curb the growing inferno. This has forced residents to vacate the premises.